Craftin' Dawn: DDC #22 "Things With Wings"
DDC #22 "Things With Wings"
the last few weeks have been challenging for me. We have struggled with weather and then my dental work, with only my mom here to help cause my hubby was on the road with work, I really appreciate everything she did for me! Well there is a light at the end and I am feeling much better! An I even have a nice report...This week when I stepped out onto my front porch to my wondrous surprise standing under my peach tree was a beautiful baby fawn....She spied me and I carefully hurried back into the house to retrieve my camera and though she did run she didn't go very far and I got a few shots of her beauty! "Things With wings"... that is our theme this week at DDC! 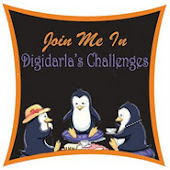 Digi Darla's Challenge blog this week is sponsored by Bugaboo images and they so generously offered the DT to work with some Bugaboo images and this is the one I chose to work with. I decided to do a CAS card, thought it would be great for a note card just to have on hand. I used brown flocking for the center on the flowers for a little dimension the rest is CAS!!! 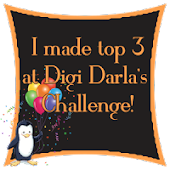 Thanks for looking and be sure to tell your friends about Digi Darla's challenge blog, we are almost done with July and that means a Digi Darla Blog Hop is creeping upon us, and that means for you all a WONDERFUL chance to win the ENTIRE month of July's new releases for 1 lucky crafter!!! 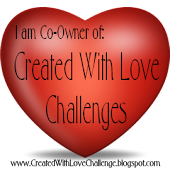 Keep your eyes peeled for info on the Blog Hop!!! Beautiful and awesome inspiration from the DT. Oh, what a gorgeous photo!! Love your DD card this week and all those images, that's awesome!! 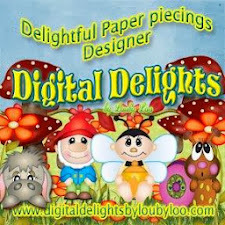 Your Bugaboo card is really cool, love the image! Both cards are awesome! Wonderful coloring! Love the penguin's and the ladybugs! Such cute cards. Love your little penguins. They look so happy. You did a fabulous job on the coloring. Thanks for stopping by my blog. DDC #21 "Anything With Wheels"